Griante and Cadenabbia are two tiny, picturesque Italian villages overlooking Como lake which, since ever, have been visited by aristocratic travelers, writers and musicians; the French author Stendhal set some scenes of his “The Charterhouse of Parma” here and Giuseppe Verdi, while staying at the villa of the musical editors Ricordi in Cadenabbia, composed some airs of his “La Traviata”. 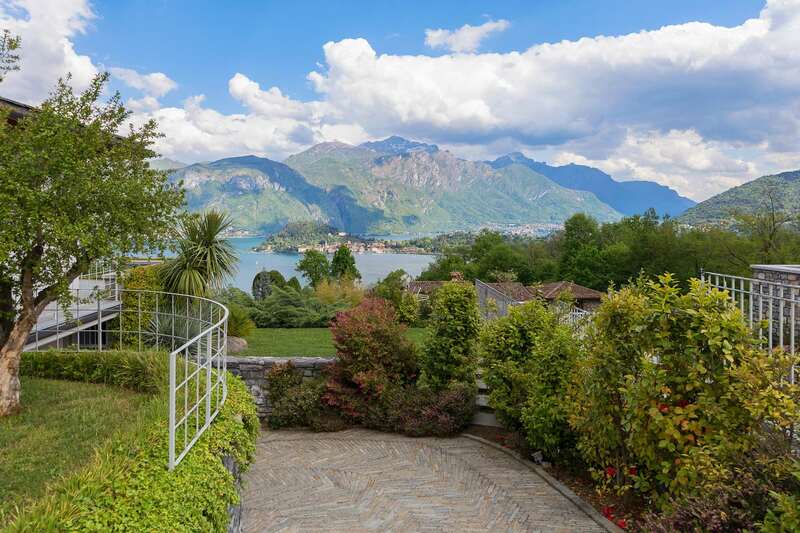 In Griante, on the western shore of Como lake, the magnificent villa proposed by GH Luxury Estate enjoy a spectacular view on the lake and on Bellagio, one of the most charming and famous villages of the region, lying on the opposite bank, right at the place where the lake divides into two arms. Located on a slightly raised position which grants a magnificent view, the property has been conceived in a contemporary and functional design where prestigious building materials and luxury finishing come together with a welcoming, warm style and atmosphere. The position of the building offers perfect privacy and the comfort of the daily living is completed by a beautiful swimming pool and a large garden, finely planted. Natural light is the true master of the house: the orientation of the building and the huge floor-to-ceiling windows grant each room a magnificent, natural lighting all day long, which is particularly vivid in the upper loft, from where to enjoy a stunning view on Lario lake and on the Alps, whose majestic profile stands out northwards, beyond the lake. Beside a beautiful living&dining area, the property offers three double bedrooms, three bathrooms and a nice cellar in the basement floor. Finishing and building materials are of top class and level and include wooden floors in all rooms, marble and mosaic details in the bathrooms, crystal and steel accessories. The huge volumes of the villa, its exclusive location and the gorgeous lake view turn this property out as a very interesting, unique occasion for demanding Homebuyers seeking for a luxury building in a beautiful location and all kind of modern comforts; for these reasons we gently reserve the possibility to supply better details about it during a confidential conversation only.